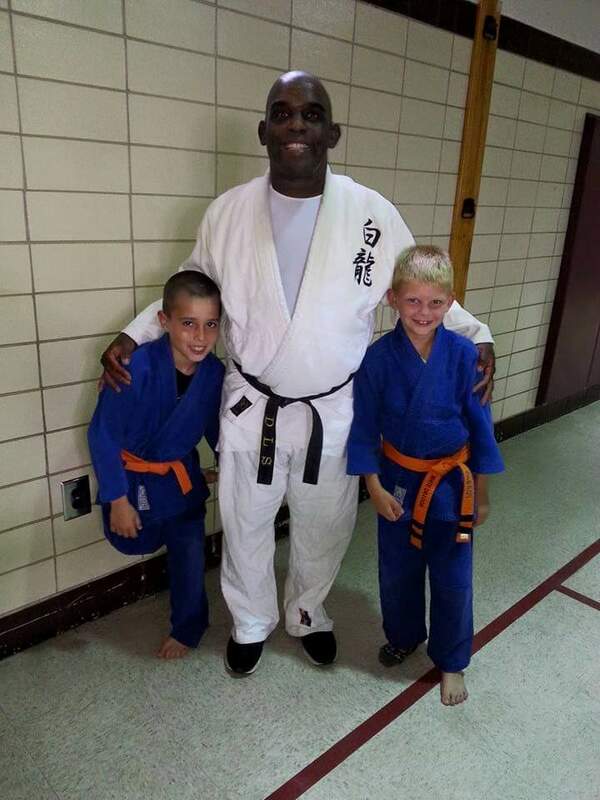 Representatives of White Dragon Judo Club conducted a judo demonstration at the Overland Summer Camp at Buder Elementary School on July 17, 2015. Supervised by Sempai Demonn Smith, Korbin McNabb and Reyes Elliot-Arango showed their friends and family the many techniques they had learned at the dojo. The duo peaked the interest of their peers young and old. Their execution was flawless and they gave their audience a taste of what judo was all about. Now that you have seen a demonstration, come out and be a part of the judo experience. You won’t know if judo is for you unless you try it. What do have to lose? The first class is free. Classes are starting now and there is plenty of room on the mat. So get out there and have fun! We hope to see you on the mat.